The team at DERM ONE offers comprehensive medical, surgical and cosmetic skin care to the residents of southern Virginia and West Virginia. We treat all skin conditions in patients of every age. Our staff aims to make your visit as easy and comfortable as possible. We are so glad you have chosen us to provide your skin care needs. We hope that every encounter with our office and staff exceeds your expectations. 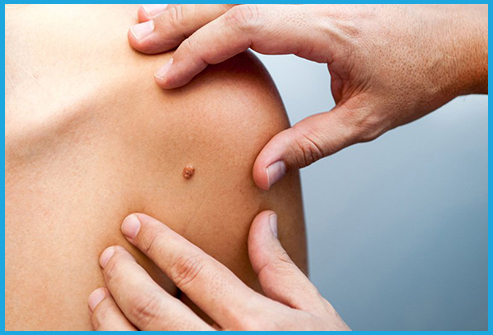 Our goal is to provide the highest quality and individualized dermatology care to each and every patient. The staff at Derm One go out of our way to deliver the level of care and compassion we would want for our own families. You don’t need to wake up with a rash or suffer from acne to see a dermatologist. Even if you don’t have any specific skin-related concerns, it’s wise to undergo regular screenings to check for signs of skin cancer. When you come to Derm One, you’ll get thorough, attentive care and access to a professional with the skill and knowledge to diagnose and treat a variety of skin conditions. Seeing a dermatologist is an essential component of protecting your skin and your overall health. For more information or to schedule an appointment, call Derm One today. Sunscreen and retinol should be key components of all skin care regimens. Sunscreen should be applied during the day and retinol should be applied at night. When choosing a sunscreen, be sure to look for zinc oxide or titanium dioxide as active ingredients. These products are available for purchase in our Radford and Bluefield locations. Acne is the most common skin condition in the United States. If left untreated, acne can lead to severe scarring. Look for benzoyl peroxide, salicylic acid, alpha hydroxy acids, and retinol as active ingredients to treat your acne. Atopic Dermatitis is a chronic skin condition that can be detrimental to quality of life if not treated appropriately. Gentle skin cleansers and moisturizers should be used daily. These products are available for purchase over the counter at most retail pharmacies.